Now this is a story all about how the Fresh Prince theme song won the 90’s TV Theme Tournament. 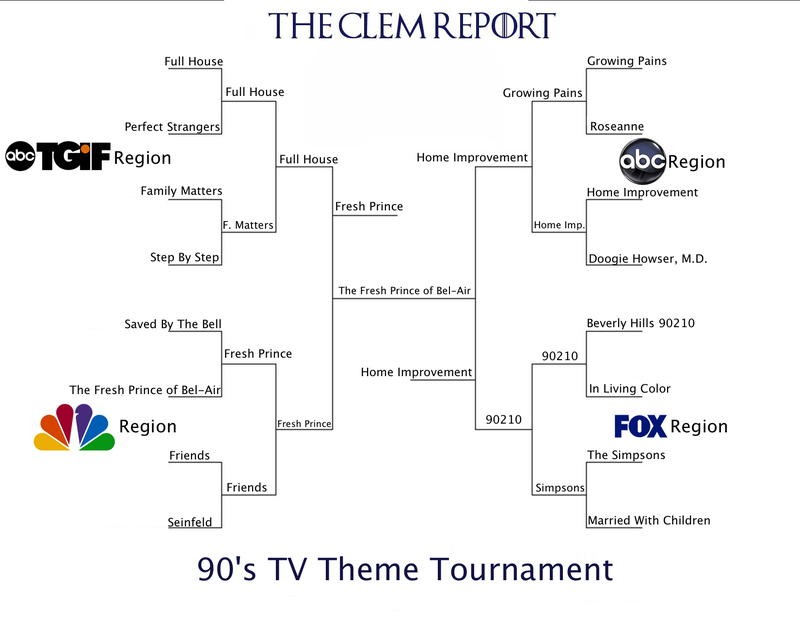 In a pretty big blowout, the Fresh Prince of Bel-Air song was able to beat the upstart Home Improvement theme to take home best 90’s TV theme song. Since The Clem Report is a functioning democracy for the people, this tournament was voted on by the visitors of the blog. If you have any disagreements with the results, please forward them to the United States Constitution. So for one last time, enjoy the greatest 90’s TV theme song of all-time: The Fresh Prince of Bel-Air.